The aircraft will be used for law enforcement, border patrol, special operations, and utility missions in the region and is expected to enter service in 2016. The contract for the AW139 by Yunnan Provincial Police Department, awarded following a rigorous assessment of competing solutions, further strengthens the success of the type in the country and brings the total number of AW139s purchased in China for public services roles in various provinces to seven. 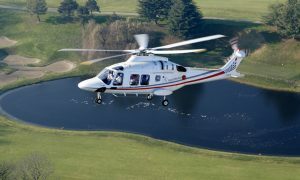 AgustaWestland is committed to deliver the highest level of customer service to growing number of Chinese customers.. More than 130 AgustaWestland helicopters have been sold to Chinese customers to date. Yunnan Province is the most southwestern province in China, bordering Vietnam, Laos and Burma. It boasts both high plateaus with elevations above 3000 meters and tropical rainforests in the east. The diverse operating geographies and climate, including demanding hot and high environments, proves once again the excellent performance and multi-mission capability of AW139. With orders for almost 900 aircraft in more than 70 countries from more than 220 customers and over 730 aircraft already in service, the AW139 is the best-selling intermediate twin engine helicopter in the world. Many operators have chosen or are already operating the AW139 for homeland security, law enforcement and public utility applications in many nations worldwide including China, Japan, Chile, Brazil, USA, Italy, The Netherlands, Bulgaria, Oman, and UAE. The type has also found significant success globally for other applications such as offshore transport, EMS/SAR, executive/private and passenger transport and government roles.